Have you ever wondered what your hamsters behaviour actually means? Hopefully this will help you better understand your hamsters behaviour. 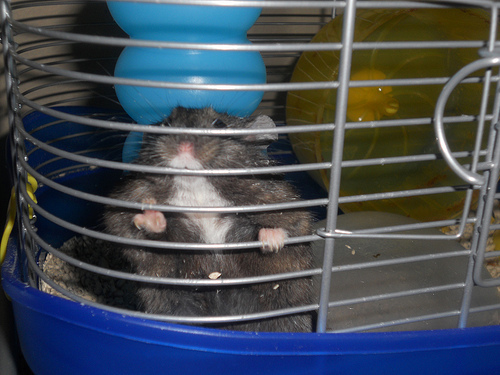 This is a sign that your hamster is frightened or startled, it is a defense mechanism. 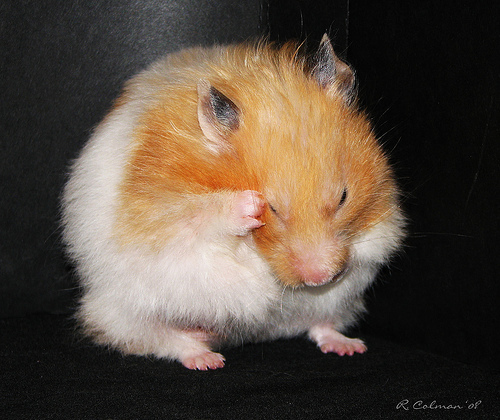 It is a sign that your hamster should be left alone for a few minutes until he/she calms down. 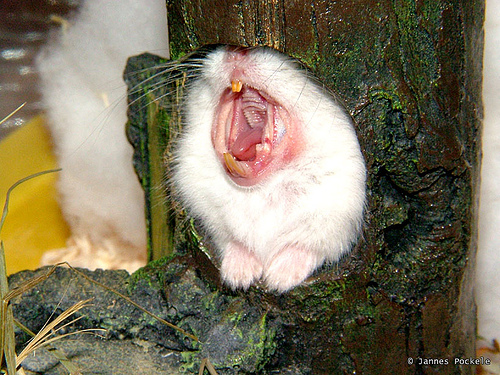 Hamsters often squeak and hiss through fright or if they are agitated. They are sometimes seen in a defensibe pose, crouched with legs raised and teeth showing. 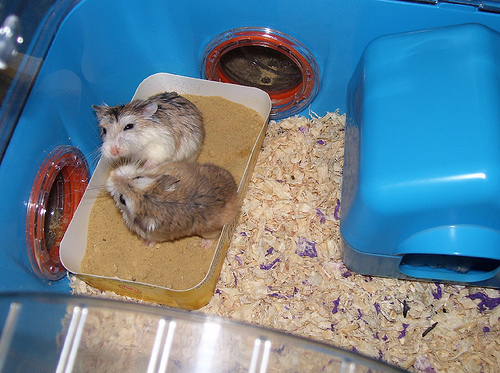 Hamsters can also squeak when fighting with each other or establishing dominance. Hamsters groom themselves when they are feeling calm and secure, it is a sign that a hamster is happy in its environment. Also a sign that your hamster is happy and comfortable. 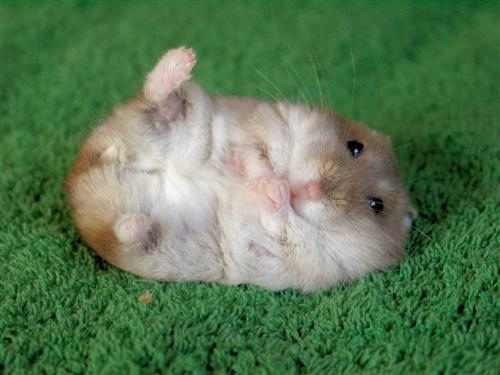 Hamsters can often be seen standing up on their back legs with their ears twitching, they do this when something has caught their attention. 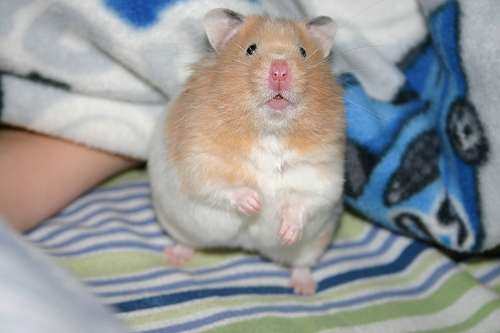 Hamsters will often mark their scent in their cage, they do this by rubbing their bellies along the object. This marks their territory. 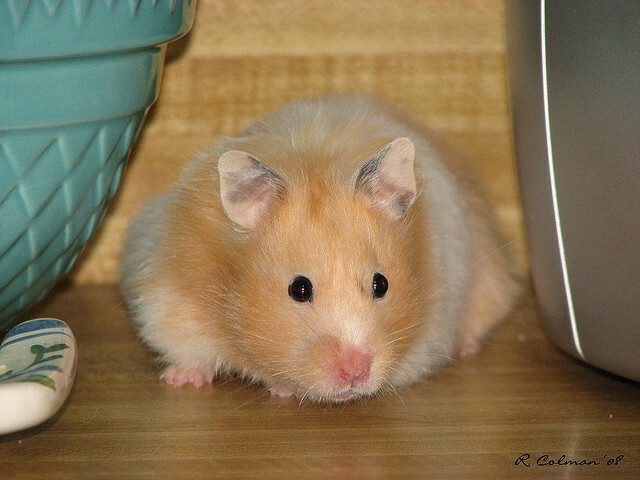 Hamsters can sometimes be heard making a chattering sound, this is often a warning before a bite. Hamsters bite out of fear, if they are startled they may bite. They may also bite if they can smell food on your hands, this is why it is important to wash your hands before handling your hamster. This can be a sign of boredom, if your hamster is not stimulated in its environment then it will resort to bad habits to keep itself occupied. It could also be a sign of stress.